“I believe that the constitutional crisis must be included in the parliament’s agenda using the Article 90 of the constitution,” Di Maio told the Rai1 broadcaster on Sunday calling Mattarella’s actions unexplained. The Article 90 said that the president of Italy was not responsible for the performance of his presidential duties except in the case of “high treason or violation of the Constitution.” Di Maio also called for holding the new parliamentary election after the impeachment of Mattarella. Brothers of Italy supported the M5S demands for the resignation of Mattarella. "The Italian president betrayed his people. We will propose to the parliament to impeach him [Mattarella],” the Brothers of Italy said in a statement. Mattarella rejected Conte’s list of potential ministers due to the candidacy of Paolo Savona, who was proposed as a candidate for minister of economy. Mattarella is opposing Savona’s views on the EU monetary policy. Head of the center-right Forza Italia party, former Italian Prime Minister Silvio Berlusconi supported Mattarella in this conflict. Berlusconi said that the M5S calls for impeachment of Mattarella were irresponsible. The Democratic Party, as well as another former Prime Minister Matteo Renzi, also supported the incumbent president. 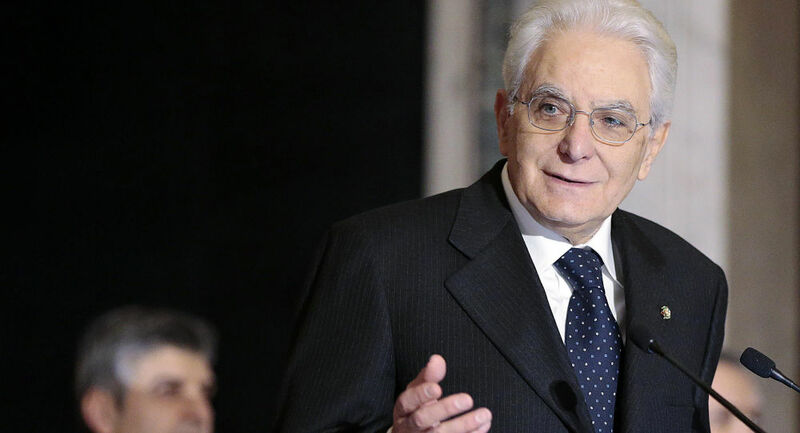 Meanwhile, Italian President Sergio Mattarella will reportedly receive the former senior official of the International Monetary Fund Carlo Cottarelli on Monday, following an announcement that Prime Minister-Designate Giuseppe Conte was unable to form a new government. The Italian parliamentary election was held on March 4. The election resulted in the M5S securing more than 32 percent of the vote. The center-right coalition, consisting of the Lega party, the center-right Forza Italia and the Brothers of Italy movement, got 37 percent of the vote. The Democratic Party won some 20 percent of the vote. None of the parties obtained the majority of votes required for the government formation.